The 106th birth anniversary of Senator Murugeysen Tiruchelvam QC, former Cabinet Minister and Solicitor-General takes place this month. Mr. Tiruchelvam was the only member of the Federal Party to become a Cabinet Minister. He served in the UNP-led coalition government from 1965 to 1968. This remains the last instance of the main party of the Sri Lankan Tamils being represented in the Cabinet. We reproduce excerpts of a speech delivered on 1st February, 2008 by Justice CV Wigneswaran for the launch of Senator Tiruchelvam’s Legacy, a collection of his speeches in the Ceylon Senate. Justice CV Wigneswaran is now the Chief Minister of the Northern Province. The release of “Senator Tiruchelvam’s Legacy” is very timely. It reflects the staid sobriety of a by-gone age during our own mundane human existence, quite out of step with the belligerent,blithering,bullying,barbaric and boorish outfit of today boastfully though beguilingly referring to itself as benignant and beneficient,benevolent and even blessed. Those of us bred in the Western public school traditions yet having also imbibed the perennial virtues of our Eastern values find it difficult to classify the negative norms and superficial standards of the present era into anything worthwhile Eastern or Western, traditional or modern, national or international. A hybrid new culture alien to Western and traditional Eastern culture though possibly borrowed from the seedier sides of those two cultures, seems to be taking root in this country. Naked selfishness, rank self interest and the spirit of self aggrandizement, conceit and egotistic imperatives seem to motivate today’s possessors of power and authority. Holding on to the reins of government at any cost has become the principal dogma and doctrine to be pursued. Destroying one’s opponents using any means or modes has become a cult. Dead men do not talk has become the principal motto of their outlook. I like to show the difference in perspectives between the time of Senator Tiruchelvam and the present era.If you take today’s Parliament none seem to be interested in what is taking place there except to the extent as to what benefits, attendance in Parliament, could bring upon them. Arguments in Parliament in comparison to the earlier period are puerile and often borders on personal vituperation. 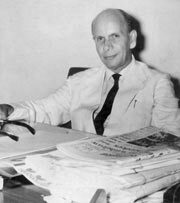 I like to quote late Mr.J.R.Jayewardene,who later became the first Executive President of this country, when he paid tribute to Senator Tiruchelvam on his demise.JRJ was a contemporary of Mr.Tiruchelvam at the Ceylon Law College and a colleague of his in Dudley Senanayake’s cabinet. Having said that Mr.Tiruchelvam was a Minister of great acceptance, he continued thus- (I quote)”He never obtruded in our discussions .When he intervened it was acceptable and civilized”. (unquote) This civility is missing today amidst our Parliamentarians. Each appears to be a bull in his own China Shop. Another quality of Senator Tiruchelvam portrayed in the publication under review today was his conviction that this country belongs to all its citizens. He was individualistic when wanting to uphold the rights and privileges of a particular ethnic group among the denizens of this Island of ours. But he was at the same time nationalistic and viewed the country’s citizenry as one composite whole and therefore willing to co-operate and interact at the public and national level. Senator Tiruchelvam was resolutely in favour of a united and plural Sri Lanka. He therefore opposed the 1976 Vaddukoddai Resolution that demanded a separate State of Tamil Eelam. He advised Mr.Chelvanayagam QC against it. Obviously he still had faith in the humaneness of those politicians among the Sinhalese who drove the Tamils to pass that Resolution as a last resort much against their innate wishes. How stupid would it be to think that militarily overcoming the LTTE or killing its head would solve the ethnic problem of Sri Lanka.? The LTTE is the offspring of the ethnic problem itself created by the successive mono ethnic parliamentary majority in Sri Lanka. It was State terrorism on their part which created the brutality of the LTTE. The ethnic problem concerns the denizens of the Northern and Eastern Provinces who had lived in their areas for centuries from pre historic times. From the time of Independence large majority of the people of these two provinces have shown their preference for a live and let live policy by supporting parties which declared a federal form of government as the best for this Island. When federalism was jettisoned by the so-called National Parties then only the Vaddukoddai Resolution was passed in 1976 despite opposition by Tamils like Mr.Tiruchelvam . There are no terrorists who are born into this world. They are made. Mostly by persons in power and authority ,the mighty and the powerful, due to their selfishness and insensitiveness which give rise to resistance and reaction. Such mighty conveniently call those unable to accept their dictatorial dictates by names. Earlier they were called Communists, then Fundamentalists and now Terrorists. It is the terror tactics of those in power and authority which creates such antagonistic opposition and hostility. Those in authority who lack humanism or who have personal and selfish agendas of their own take cover behind such loaded terms such as Terrorism and Terrorists. The period of Tiruchelvam fortunately was devoid of such persons though not too later the 1971 JVP insurrection took place. There again it was the insensitiveness of successive governments towards the needs and aspirations of the poor and downtrodden people of the South which gave rise to such insurrection. It needs to be said in favour of Dudley Senanayake that he was prepared to discuss and adjust matters with those having opposite views instead of taking cover behind such terms as Naxalites and terrorists. Yet Mr.Tiruchelvam could not continue to be in the cabinet on account of certain disputes that cropped up with regard to the Koneswaram Temple in Trinco and also due to the chauvinistic attitudes of many in Dudley’s party in power who prevented the implementation of the Senanayake-Chelvanayagam Pact. Mr.Tiruchelvam resigned in September 1968. Even before the 1972 constitution was enacted Mr.Tiruchelvam had warned us with regard to its legality. In the course of his speech on the 30th of June 1970 after the new United Front Government under Mrs.Sirimavo Bandaranaike was sworn in he pointed out that the Constituent Assembly which was due to be set up by the newly elected Government was illegal. It is to be said in favour of Mr.Murugeysen Tiruchelvam QC that until he breathed his last in 1976 he believed in the goodness of all men, the rule of law and the unity of this country. I wonder whether the pendulum would have swung to the other extreme if he was living today.